This relation is 1 – 2. This alliance is not going to be good. Conflict will occur in this relation as the two will not be able to cooperate on many fronts. Even though there is love and affection, it will be difficult to continue this relation. Financial matters can also lead to trouble in this relation. This relation is 1 – 1, so it can be a good association. Both of you will be attached to each other physically, emotionally and economically. However, you need to take care of misinterpretation and miscommunication at times. This relation is 2 – 12 or 1 – 2, meaning it can be a good match. There will be a feeling of adjustment and cooperation from one side. There can be some deliberation, something which cannot be ruled out. An imperative role will be played by Taurus to continue this relation. This relation is 1 – 3, which means it will be permanent and fortunate. Cancer will get complete pleasure and satisfaction from Taurus. Both of them will have tremendous understanding. This relation will move ahead on its own with making any effort. This relation is square or 1 – 4. Taurus is stubborn and Leo is arrogant. They will not cooperate and there will be no eternal relationship. Even though they have considerable understanding and love, it will be difficult for them to continue. This relation is trine or 1 – 5, which is considered most excellent among all. Rational Taurus will provide many pleasant moments and great treasure to realistic and insightful Virgo through his cooperative and compromising nature. You can easily rely on this long lasting and reliable relationship. There is no second thought in saying that both of you are soul mates. This relation is 1 – 6. This means it will not be lucky. Both of them are ruled by planet Venus. Uncomplaining Taurus will not find any compromise from Libran. Therefore, it is an unwelcoming relation. This relation is not recommended at all. This relation is a contradictory one or 1 – 7. There is no shortage of great physical appeal. However, there can be problem in prolonged existence. Life can be depressed and cursing so there is no need to think of long term courtship. Life can be gloomy and unhappy. This relation will always have disappointment and may not continue for long. This is a trine or 1 – 9 relation. This is considered to be a good relation. It will be fortunate for both of you to be in this relation. This can be a reliable, truthful and enduring relation. They are made for each other and they are prudent, realistic and conventional. This is a square or 1 – 10 relation. Aquarian will find it difficult to go along with loving Taurus. This relation will have consistent miscommunication and misunderstanding. Both of them will be lucky for each other, therefore, it can be said that all is not lost. Taurus is polite and tolerant and is comfortable in the company of Piscine. This relation will have romance, love and excitement. Both of them are lucky for each other. It is good for wedding as there is loyalty, stability and consistency in this relation. How Lucky are you? 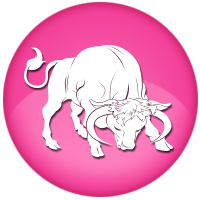 Check out Taurus Lucky/Unlucky Horoscope Here..